Anglesite gets its name from a deposit locality: Anglesey, an island in Wales. Anglesite forms several types of crystal habits: tabular, prismatic, pseudorhombohedral, or pyramidal. They resemble those of barite and celestite. 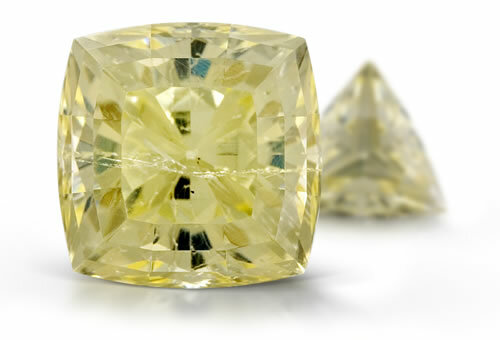 Prized by collectors for its strong dispersion, anglesite is often colorless to white, grayish, yellow, green or blue. This stone contains lead and special care needs to be used. Always wash your hands after handling.